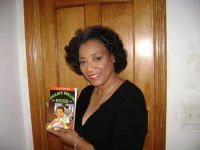 Arlene Jones - Featured Columnist Austin Weekly News: Why Are Black Preachers The First Ones To Be Called When White Politicians Gets Busted? Why Are Black Preachers The First Ones To Be Called When White Politicians Gets Busted? I don’t know which was more embarrassing. Hearing U.S. Attorney General Patrick Fitzgerald read what Gov. Blagojevich was alleged to have said on secret tape recording or hearing what black folks actually said over the air while listening to WVON 1690AM. True, at the point that the press conference was held, Gov. Blagojevich wasn’t being indicted. But a warrant for his arrest had been issue based on those recordings that the government had been authorized to hear and make. The recordings according to Fitzgerald, show our governor’s willingness to not only offer to sell the vacated U.S. Senate seat previously held by Barack Obama to the highest bidder, but the governor was also willing to hold up funding to Children’s Memorial Hospital unless those in charge of it gave to his campaign. Every citizen of the State of Illinois should be offended that the governor’s displayed a willingness to put sick kids at risk for his political gain. The governor’s arrest and the release of what is purportedly on the recordings became the talk of WVON. What I was most amazed to hear were callers acting as if it was a guarantee that an African-Americans would get and keep the vacant senate seat. One caller said, “its ours (the senate seat) and ain’t no one else going to get it…”. Huh? “Ours” as if black people were the majority in this state. “Ours” as if no one else could possibly run an election and win it. “Ours” as if the senate seat was a “legacy” to be passed from person-to-person -- the rest of the state population be damned! If what was said on WVON had been said on any white radio station, the same people would be screaming racism at the top of their lungs. Yes it was good to have the U.S. Senate which is now currently 100% white to have a person of color in there. But there is no guarantee in any state that just because your skin has melanin that you can win and keep a senate seat. Did those callers on WVON forget that it was because the republicans had put up a carpetbagger by the name of Alan Keyes as Obama’s opponent that also led to Obama’s win? The choice in 2004 was between two black men. That is not guaranteed to be the case in the event of a special election or the regular election scheduled for 2010. I am also perplexed by when it became “de rigueur” for some white politicians to call on black preachers whenever they find their butts in trouble for doing something that is scandalous. From Bill Clinton after his Monicagate to now Blagojevich with his allegations, why are black preachers the first ones to flock following the sins? No other ethnic or racial group seems to have ministers who come to the aide of sinners as quickly as those in the black community. Do those ministers have a better hot line to God than the pastors of the churches those sinners regularly attend? And if so, can some of those prayers be first for those sick children at Children’s Memorial whose health the Governor put at risk playing political games with their healthcare! When the governor cares so little for the feelings of the black community and especially the Westside by helping to feed the homeless with Congressman Danny K. Davis for Thanksgiving while referring to him as Senator only to find out Congressman Davis wasn’t even on Blagojevich’s short list, then those ministers have no regards for the fools that the governor played many of us for. When talent and service by an elected official isn’t taken into account unless there is money to be paid, our governor is sounding like a political version of Rev. Ike. Those minister need to remember that Rev. Ike was famous for telling people when it came to his offerings, he didn’t want anything that jingled. He didn’t take change. PS: An update on the story I wrote about concerning Taneka Talley’s death and Dollar Tree. Dollar Tree has now agreed to pay the death benefits to Taneka’s son. If "we" would stop *worshipping* ministers, "we" wouldn't have this problem. Those same ministers tell "us" to vote for the same ole politicians continuously, but instead of "us" benefitting, we wind up with more of the same! Comment 2 was an advertisement that has been deleted.